Cryermalt is proud to award a special trip for one Australian brewer to visit Weyermann Specialty Malts in Germany. Bringing together a talented brewer with one of the world’s leading specialty malt producers, the trip includes a chance to brew a collaboration beer at Weyermann. 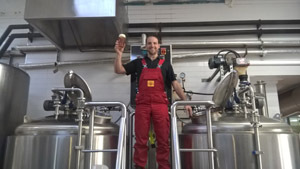 Cryermalt announced the winner today – Michael Capaldo, head brewer at Sydney Brewery, who enjoyed recent success at the Australian International Beer Awards (AIBA), garnering medals for eight of their beers, all containing Weyermann malt. Michael has always had great success brewing with Weyermann malt. At last year’s AIBA Awards Sydney Brewery also won a ‘Best European Style Lager’ trophy for one of their beers, ‘Lovedale Lager’, brewed using 100% Weyermann malt. Weyermann is delighted to welcome Michael Capaldo to their premises in Bamberg and to provide the opportunity for collaboration between brewing and malting professionals. 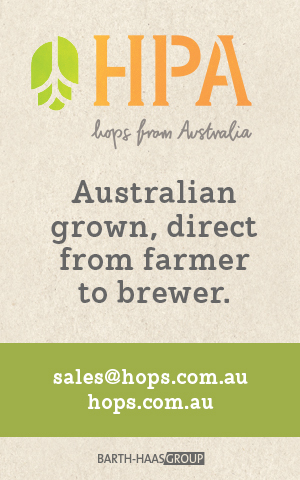 To celebrate the 25th year of the AIBA Awards, Cryermalt are once again are pleased to be able to foster connections across the world, between a celebrated Australian brewer and a world-renowned producer of premium specialty malts. David Cryer, director of Cryermalt, is “pleased that this is able to go to someone like Michael, who has been such a great proponent of Weyermann® malts and the use of them in his beers. I’m sure this experience of meeting the people and getting to see how the malt is made will further enhance this relationship”.